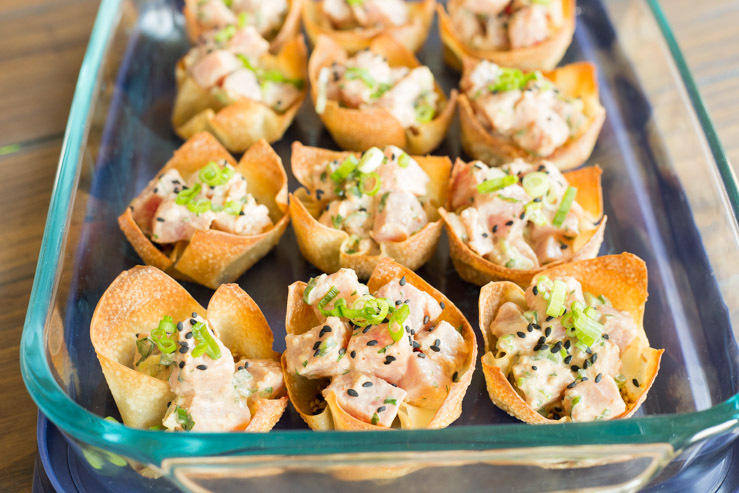 Jalapeno Poke in Wonton Cups are the quintessential poolside, outdoor foodie snack! Fall in love with this authentic recipe for fresh, Hawaiian poke bursting with the tropical flavors of fresh ginger, and creamy soy-sesame dressing. 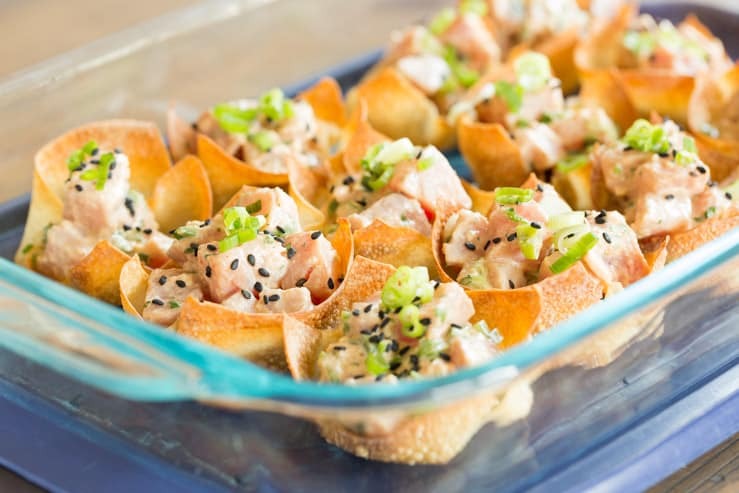 For a fun twist, we’ll serve them up in glazed wonton cups for easy summer entertaining. Poke, is an authentic Hawaiian dish of marinated raw fish— usually fresh tuna in the states, but in Hawaii they make poke with yellowtail, octopus, salmon, and even tofu. Though poke is not a new creation, it has been experiencing a new level of popularity, and for good reason! Poke is a delicious snack exploding with juicy flavor, a pop of ginger, and a creamy sriracha mayonnaise. In fact, it’s very similar to sushi, but much easier to make. 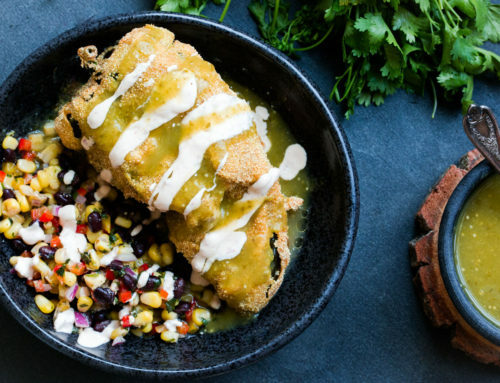 It’s also loaded with a punch of flavor thanks to green onion, ginger, sesame oil, and tangy rice wine vinegar. 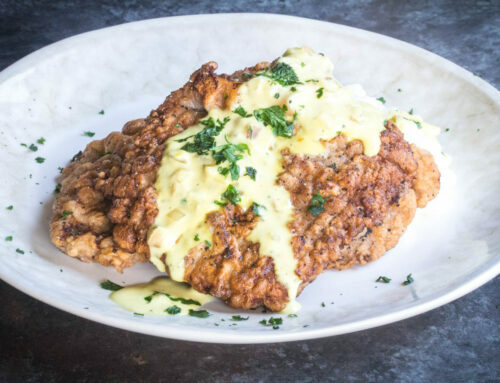 Think of it as your grown up version of tuna salad. 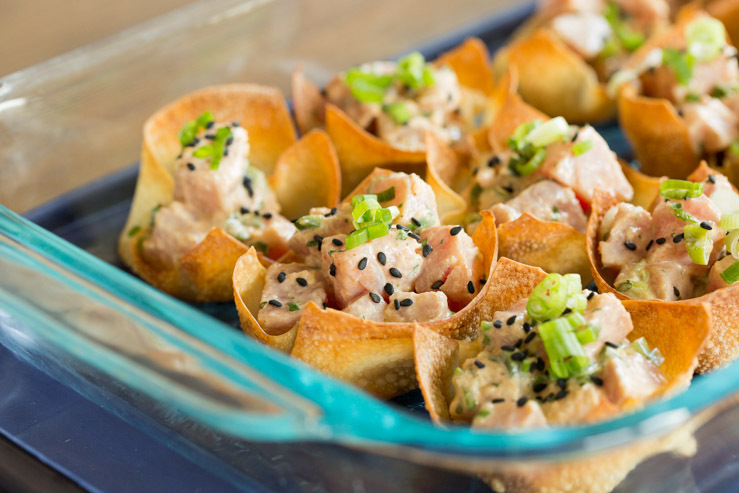 Placing poke in wonton cups (literally my favorite party snack food, we use them all the time), makes them easy to handle, crunchy, and portable! These jalapeno poke cups have everything in one bite. 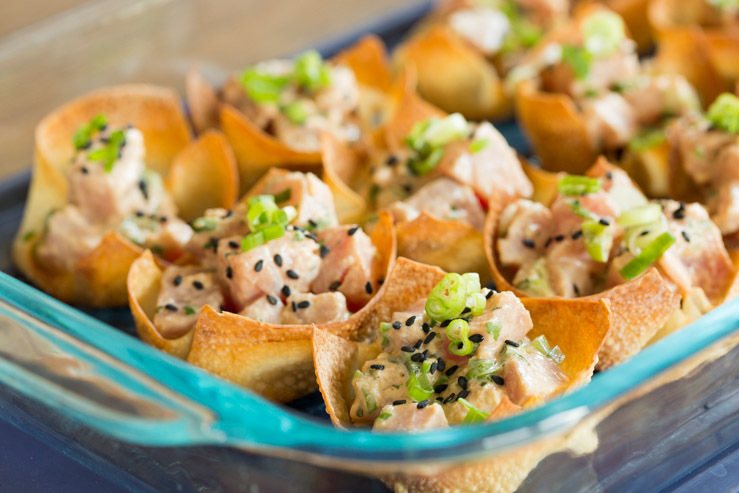 First that glorious crunch of crispy wonton followed by an avalanche of succulent, cold tuna soaked in creamy ginger sauce. Part of the allure of eating poke in hot weather is that it’s cold! Keep the poke chilled until you’re ready to serve. 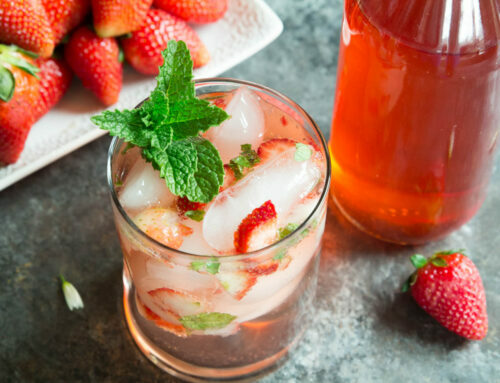 It’s a refreshing, delicious little bite which will revive you after a day in the sun! 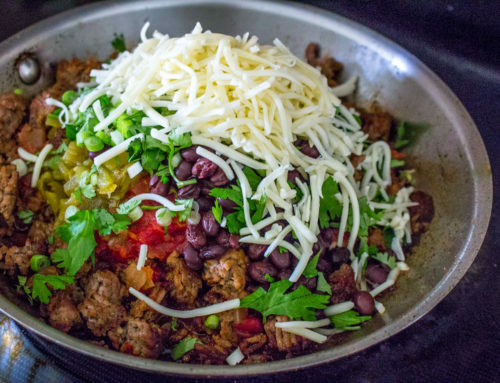 In a large bowl, whisk together all the other ingredients. 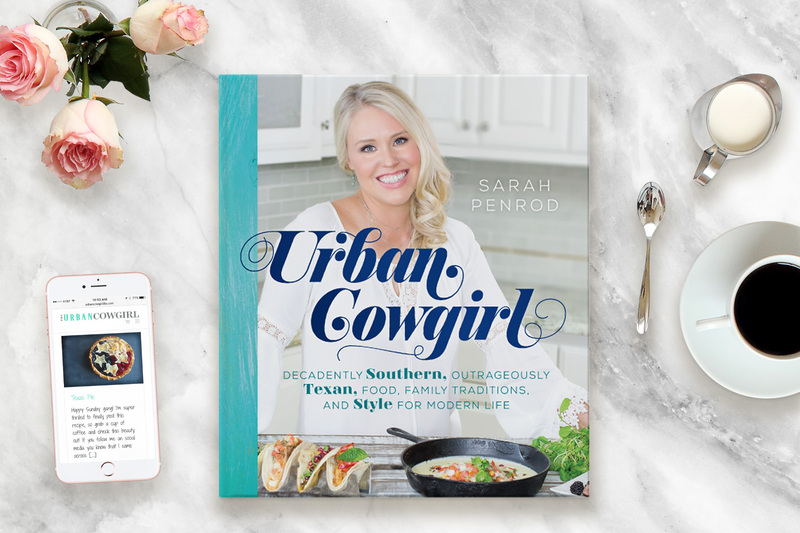 It will make a deliciously, fragrant sauce! Gently add the cubes of ahi tuna to the dressing and fold them in. Let this marinate 15 minutes or so as you prepare the wonton cups. Taste for seasoning before serving… you may need to add more soy sauce or spice to suit your own tastes. In a bowl, mix together the soy sauce and sesame oil. Spray the cupcake pan liberally with spray oil or brush with sesame oil. Place one wonton in each hole. It should make a little bowl with curled edges. Brush the wontons with the sesame oil/soy sauce mixture and sprinkle with salt and sesame seeds. Bake the wontons for 10-12 minutes at 350 degrees, or until golden brown. 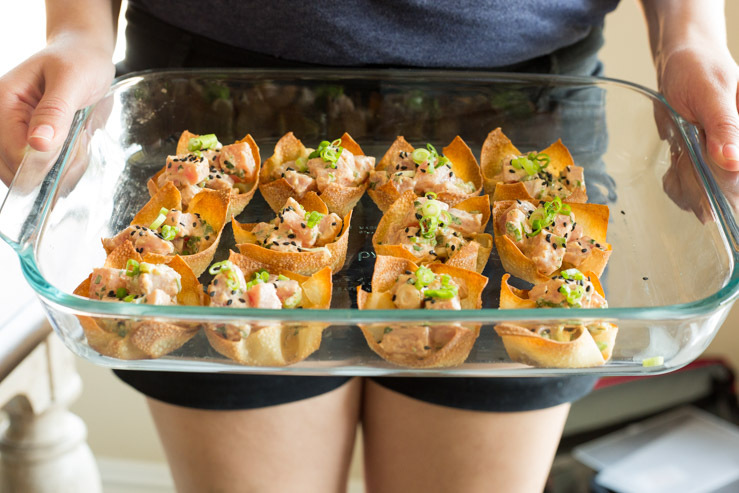 Remove pan carefully and remove wonton cups to a plate to cool. Repeat until you have the desired number of wonton cups. ***These can be held in zip lock bags for days without going stale. 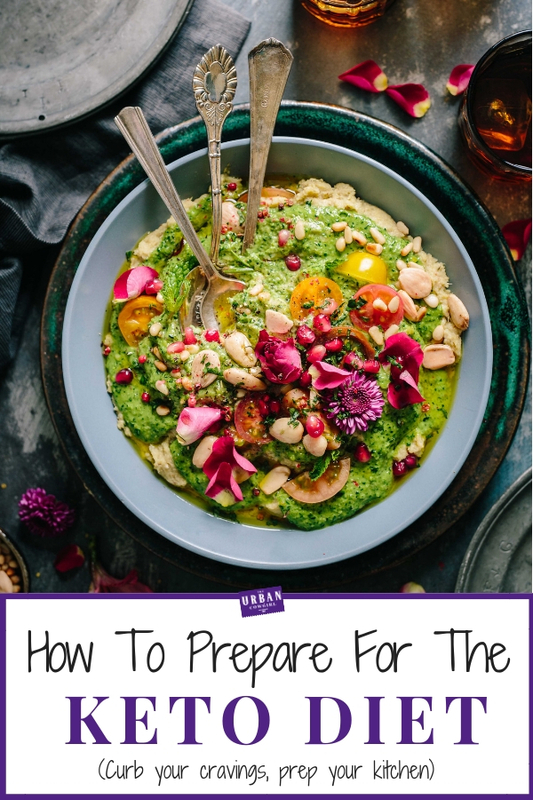 It’s a great step to do ahead before parties so that your appetizer is ready to complete, when you’re ready to serve. 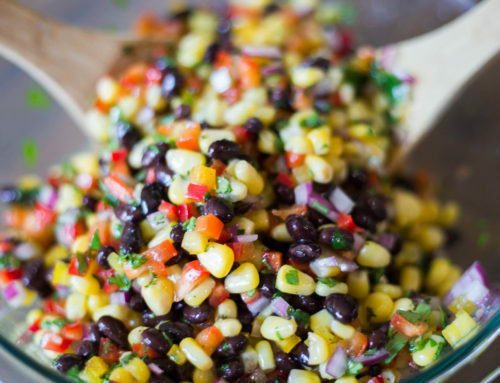 Spoon poke mixture into cups and garnish with green onion, cilantro, or additional sesame seeds. Note: Try to keep the poke cool. Raw fish should not sit out in the sun for extended periods of time.